"If you don't hold me I am going to jump up on the camera because it looks interesting!" 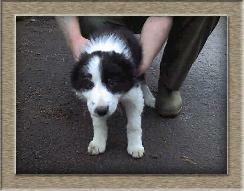 This is Tam the sheepdog, he has a bit of growing up and a lot of training to do before he will be able to handle the sheep! There are huge numbers of sheep on farms. They are bred for their wool and meat. 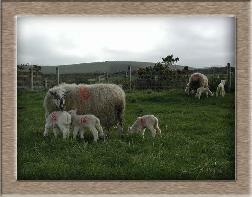 These three lambs and their mum are out in the fields, the lambs are only days old. Fluffy Lambs out in the fields. The lambs tend to congregate together in the field. They spend a lot of time running about playing together. Lambs are born in the spring time when the weather begins to turn warmer. This ewe has had three lambs. 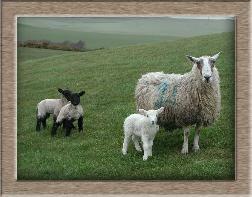 More commonly each ewe has two but four or five are not uncommon. Farmer Bob keeps the ewes with three lambs in a special field which he checks regularly to ensure that the mums have not misplaced one of their lambs. 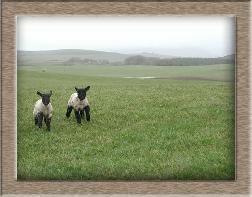 These two fluffy lambs were chasing the four wheel motorbike across the field. 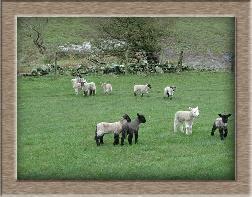 Even at a young age the lambs can run quite quickly. This fluffy lamb is still in the lambing shed with his mum. Farmer Bob keeps them in for a day or two after they are born to ensure that they are healthy before going into the fields. 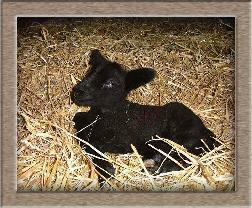 This is one of this years black lambs. 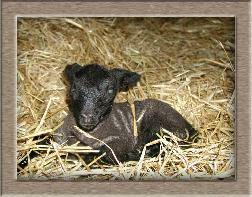 There are a few black lambs born on AdoptaFarm every year. 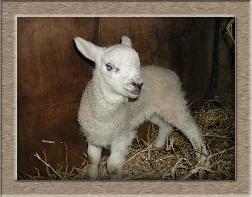 This fluffy lamb is in the lamb adopter with his mum. 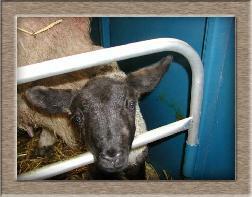 You can read more about the lamb adopter as a member of AdoptaFarm. 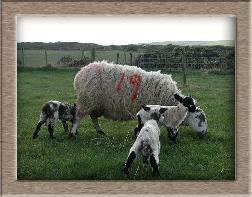 Another of this years black lambs. 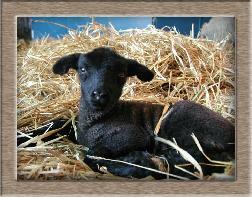 He is resting on the hay in the middle of the lambing shed.